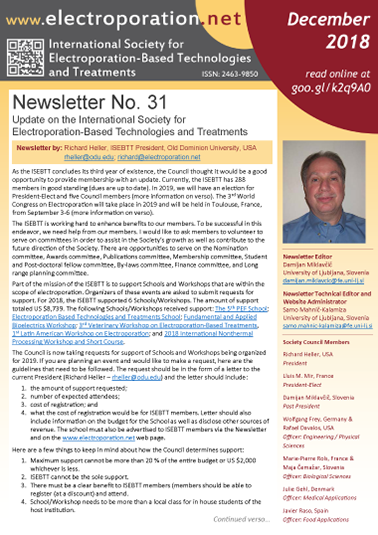 The 31st issue of the ISEBTT Newsletter brings a report on the advancement of the ISEBTT by the current president, Richard Heller. Starting December 1st, 2018, you are also invited to submit your abstract for the upcoming 3rd World Congress on Electroporation and Pulsed Electric Fields in Biology, Medicine, and Food & Environmental Technologies. 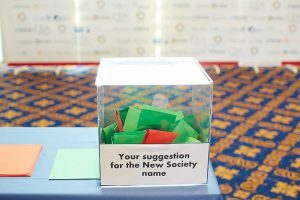 Stay tuned for the upcoming news on the opening of abstract submission by visiting the Congress website (https://wc2019.electroporation.net) over the next few days.